Draw upon renewed sources of strength, from the purity of our nature, from the fragrant air and the crystal-clear springs! Eternal ice at 3,000 meters above sea level. Blue waters with water pure enough to drink. The tapping of a woodpecker, the bluish-purple flowers of the wulfenia. Cool canyons, shady forests and sunny alpine pastures. Carinthia is rich in natural beauty, as it is opportunities to experience that beauty intensively and up-close. ...a variety of beautiful hikes and romantic walks, from spring until autumn! Choose between unforgettable experiences atop the high peaks of the Julian, Carnic or Gailtal Alps, as well as the Karawanken and Nockberge mountains. And did you know you can climb the 2,143 meters-high Mittagskogel, which bears a striking similarity to Mount Fuji, directly from the Faaker See? Or, how would you like a leisurely family hike through the hill country, including a refreshment stop at a traditional Alpine chalet? Popular activities in the area include guided theme hikes focused on area vegetation, mushrooms and herbs. 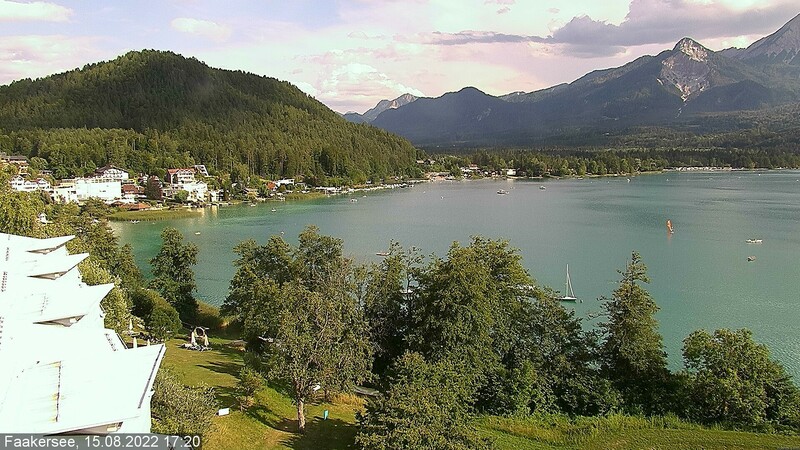 This glorious region for holidaymakers, with its lush, green meadows and forests flanking the Faaker See, definitely invites visitors to take romantic strolls together! Man cannot live from air alone. Which is why you’ll find Alpine huts and chalets at all elevations, inviting you to take a break and enjoy some refreshments. A selection of home-cured bacon and other hearty country favorites is sure to recharge your batteries in no time at all. Whether you decide to tackle hikes on your own, together with family or friends, or accompanied by our trained hiking guides, the area surrounding the Faaker See – as well as Carinthia as a whole – is a wonderful place to hike.